We should not put our money into Obama's misguided nuclear dementia. 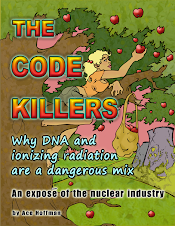 The author has written thousands of essays about nuclear power but only one book, THE CODE KILLERS, which is available as a free download from his web site: www.acehoffman.org . The author is also a computer programmer; his educational software programs are used by students and teachers at over 1000 universities around the world: www.animatedsoftware.com .